Here is a photo of it from last week, so it is a little longer now. I know it is going to look nice when it is done, but I can certainly see why the pattern is marked 'P' ... for patience!!! the pattern is certainly time consuming! 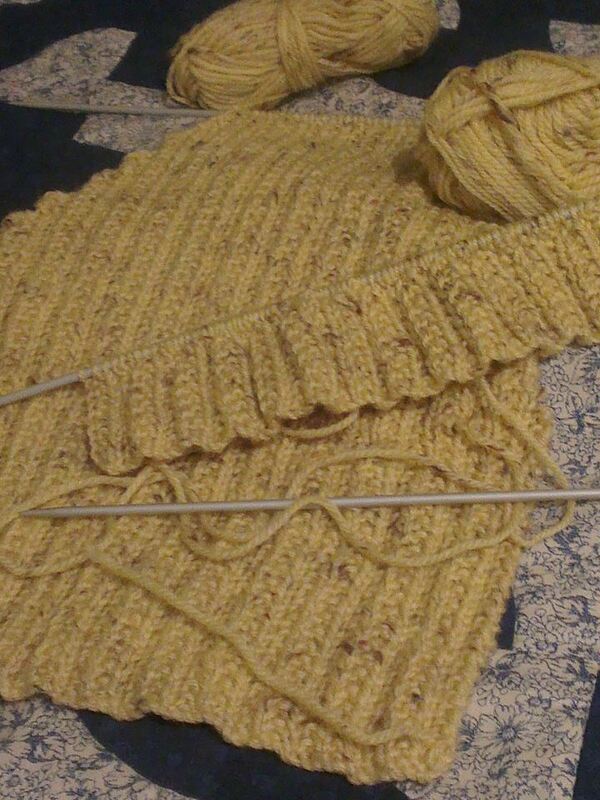 I will keep plodding along, though with the hope my little guy will still fit into it when it is done! First Christmas Project for 2013!